Aerogels are among the world’s lightest materials. Graphene aerogel, a record holder in that category, is so light that a large block of it wouldn’t make a dent on a tiny ball of cotton. Water is about one thousand times more dense. The minimal density of aerogels allows for a number of possible applications, researchers have found, ranging from soaking up oil spills to “invisibility” cloaks. 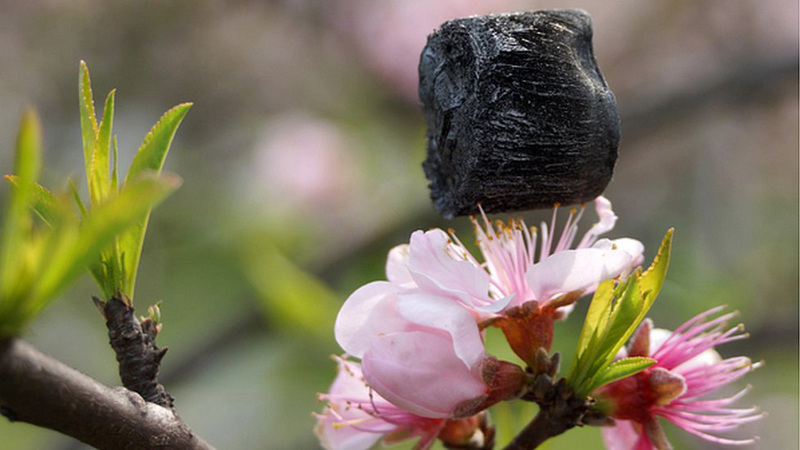 Now, scientists from State University of New York (SUNY) at Buffalo and Kansas State University report in the journal Small that they have found a way to 3D print graphene aerogel, which has only been used in lab prototypes. This technology will make the material much easier to use, and open it, and hopefully other aerogel materials, up to wider applications. Graphene is just a single layer of carbon atoms. Since it was isolated for the first time in 2004, it has been touted as a wonder material for its strength, pliability and conductivity. Aerogel is essentially a gel where the liquid is replaced by air. Graphene aerogel is known to be highly compressible (so it can bear pressure without breaking apart) and highly conductive (so it can carry electricity efficiently). The very structure of the material that gives it these properties, however, makes it difficult to manufacture using 3D printing technology. Typically, to 3D print aerogel, the core material is mixed with other ingredients, such as a polymer, so that it can be pushed out using inkjet printers. Once the structure is made, the polymer is removed by a chemical process. In the case of graphene aerogel, however, doing this destroys its delicate structure. SUNY Buffalo and Kansas State University researchers came up with a solution. They mixed graphene oxide—graphene with extra oxygen atoms—with water and deposited layers on a surface at -25°C. This instantly froze each layer, and allowed the undisrupted construction of the aerogel, with ice as its support.